I have been so stoked and excited to watch Pacific Rim since it was announced sometime last year. The very notion of giant monsters fighting huge robots was more than enough to blow my mind. Well it’s finally here and it was such an irony that the night it was showing, I had to be out of town. But I finally got a chance to watch it. And here’s what I think spoiler-free. I didn’t immediately write this review after watching it because I wanted my excitement to die down first. So I took a few days to try and digest it and made sure that the Pacific Rim review I made was fair. But I failed, because a week after watching Pacific Rim, I still feel the same way about it. Director Guillermo del Toro (Hellboy) has made me very happy with this. 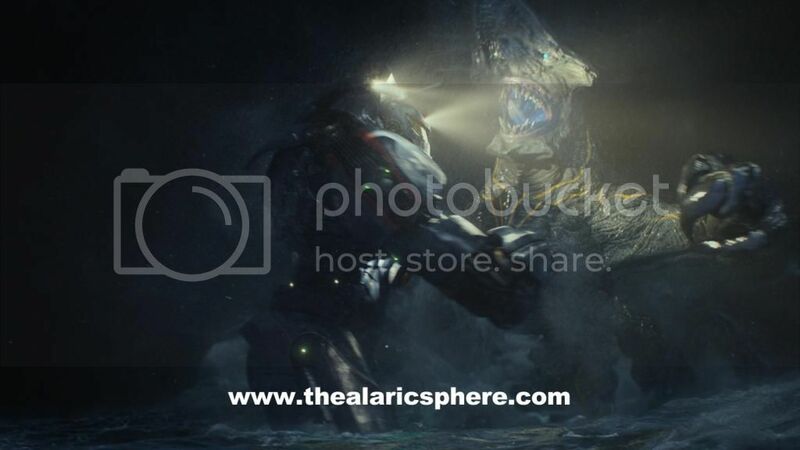 A portal from the bottom of the Pacific ocean opened and Godzilla-like monsters called Kaiju are coming across wreaking havoc on Earth. To counter this, humans come together and create giant robots called Jaegers to fight the Kaiju. The Jaegers, since they’re big, need to be piloted by 2 personnel. Scientists also try to figure out what the portal is, where it goes or where it’s from. The leading guy, Raleigh Becket (Charlie Hunnam) is one of the Jaeger pilots. This is the first time I’m seeing him in action since I haven’t really watched any of his other work. All he needed to do was to look good, do some awesome fighting and shout out some lines in English and Japanese. All of which he did quite well. His co-pilot, Mako Mori (Rinko Kikuchi), I also am seeing for the first time. Same as her leading guy, all she needed to do was to look good and make sure her English has the deepest Japanese accent possible. She also did a good job of this. I personally liked that they had a Japanese main character since this war of the monster themed movie definitely has very strong roots and influence from that culture. 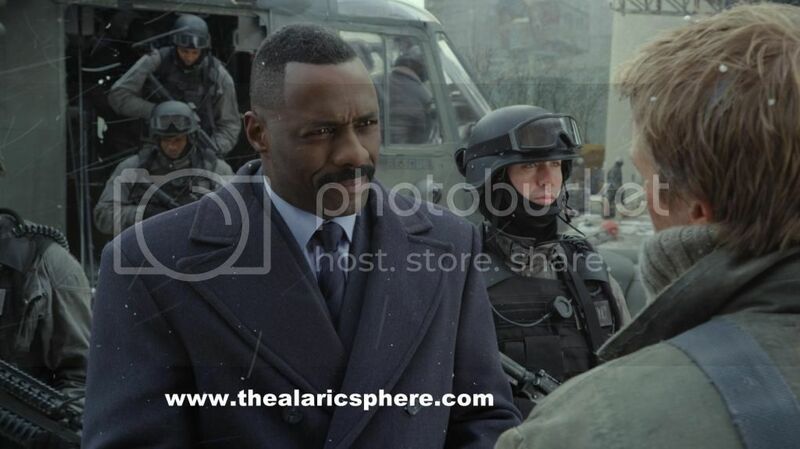 The third main guy is Stacker Pentecost (Idris Elba) who was one of the few guys I knew coming in. You may know him as Heimdall from the Thor movie. He was awesome smooth in this movie. Hit all of his lines perfectly with all the emotion I was expecting. Now for the peripheral characters. The two scientists Charlie Day (Horrible Bosses) and Burn Gorman both do an excellent job of being the comedic relief for the movie. Charlie Day is himself which is a good thing. I enjoyed the break in the tension each time they’re there. Gypsy Danger (the main Jaeger) has an artificial intelligence that is voiced by Ellen Mclain (GlaDOS from Portal). I find myself giggling every time I hear the voice. If you don’t know why then go play Portal which is one of the best games ever made. 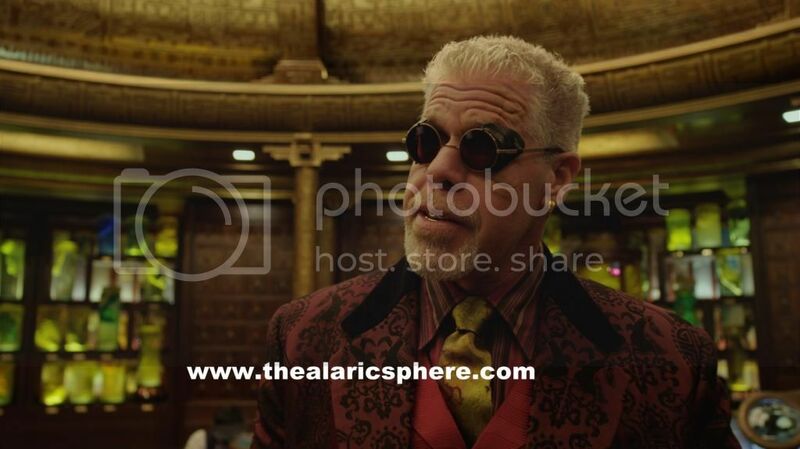 The last character I’ll mention is Hannibal Chau (Ron Perlman) who is probably my favorite character among the cast. Guillermo del Toro knew that Ron was awesome in Hellboy so he’s brought that attitude over to Pacific Rim. The real stars of the show are the Jaegers and Kaiju. The Jaegers were manufactured by the countries that had the capability and capacity to. So there were Jaegers from USA, Japan, Australia, China and Russia (Jaeger full stats here). 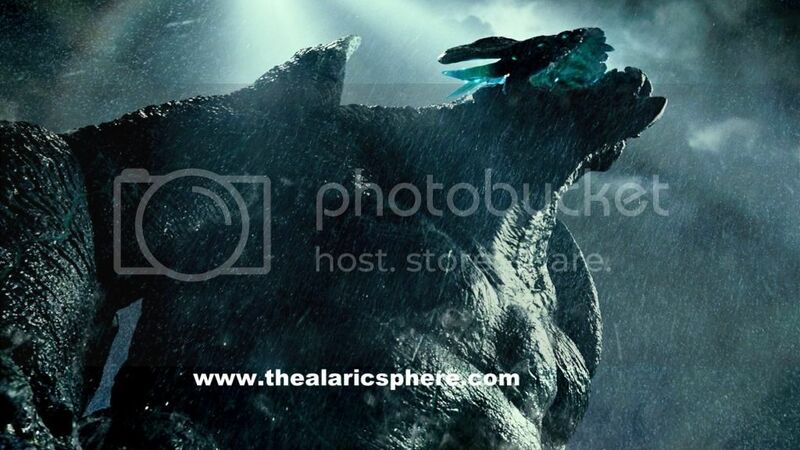 The Kaiju were in all shapes and sizes, a water Kaiju, a flying Kaiju, a gorilla Kaiju, an axe face Kaiju. All of which made me happy to see. It’s robots (Jaegers) going up against dinosaurs (Kaiju). The story is all about how people come together to fight this danger that threatens humanity. I really enjoyed the story and the pacing. There is never a dull moment in Pacific Rim. Each time after an action scene when you expect it to lull a bit, there’s something that keeps you fully engaged. In preparation for this movie, I made sure to keep my expectations in check so I can objectively say if I enjoyed the movie or not. 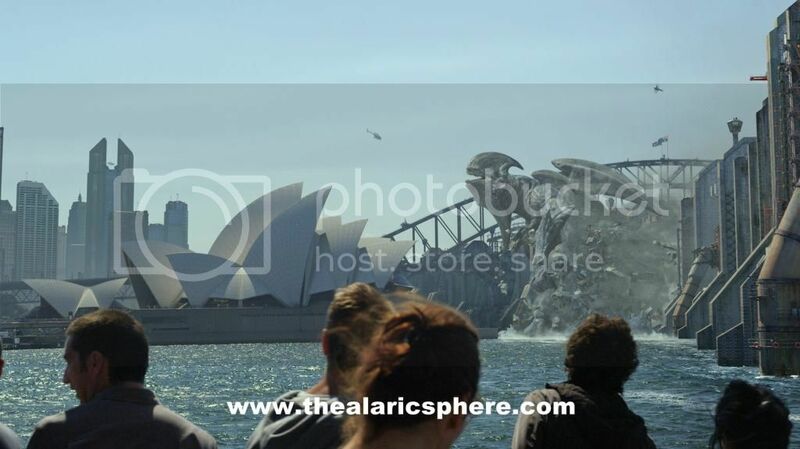 Realistic Stuff Exceeds! All my questions were answered. Why do Jaegers need 2 pilots. Check. What do they run on. Check. Why is there a turbine. Check. As well as a bunch of other stuff I thought of while watching. Monsters in all shapes and sizes Yes! A ton more than what I was expecting. The Kaiju kept coming and the Jaegers kept punching. GlaDOS action This was the only point that they didn’t hit. Although I wasn’t really expecting that much out of it since GlaDOS is a licensed product. It might have cost too much for something the mainstream wouldn’t have understood anyway. Soundtrack I will love Yes! The main Pacific Rim theme sounds great. The music during the fight scenes also set the mood pretty well although most if not all of them just felt like remixes of the main theme. Epic Battles EPIC! The fight on the trailer might have been the least epic among all the battles. This made me really happy. 5 out of 6 exceeded expectations and 1 missed expectation. That more than compensates for the one they missed. I can always get my GlaDOS fix somewhere else. 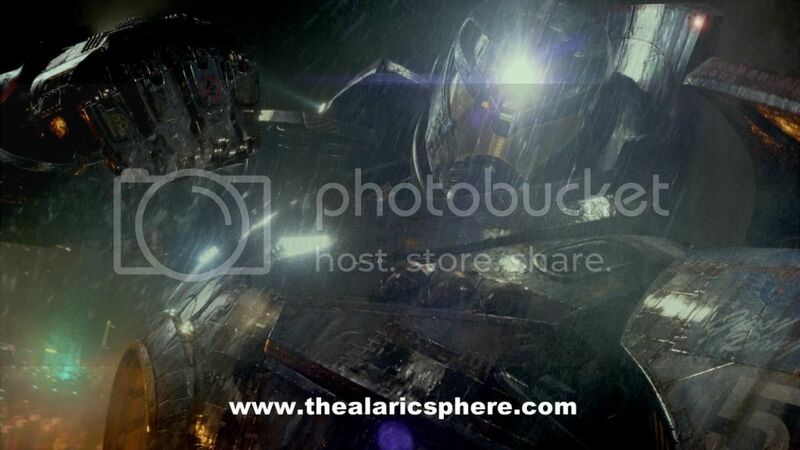 Pacific Rim is the greatest movie ever made! That is my opinion. I must say that people’s opinions about various things are important. It helps build diversitcy among other things. Normally I respect people’s opinions when it comes to these things. But not Pacific Rim. If you don’t agree with me, then you’re an idiot. Go watch Twilight, listen to Harlem Shake and do a Keeping up with the Kardashians marathon since you’ll most likely enjoy those more. If you haven’t gone and watched Pacific Rim yet, please, do yourself a favor and go watch it. 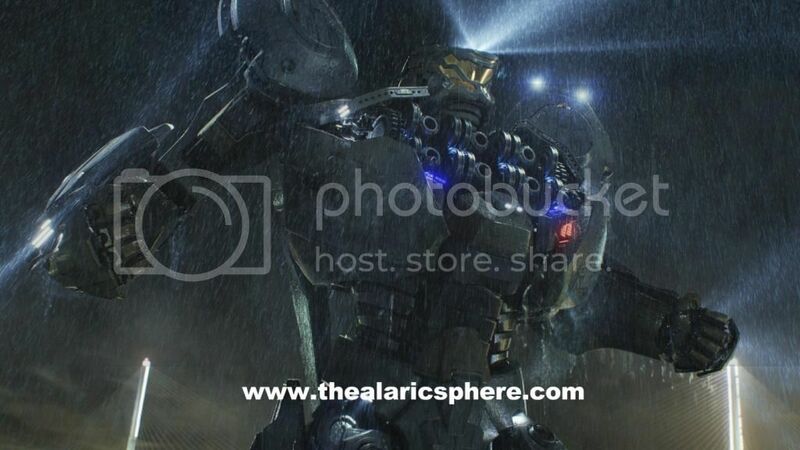 Pacific Rim is now showing in all Philippine theaters.